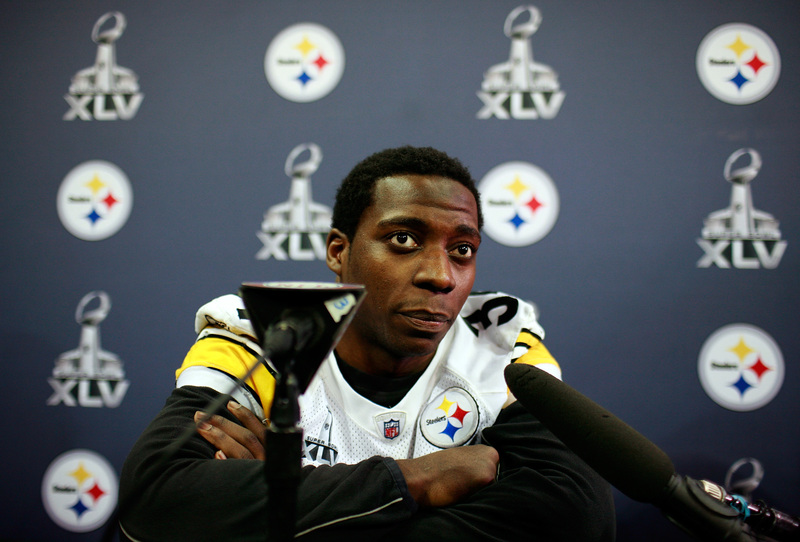 In May, shortly after Osama bin Laden's death, Steelers running back Rashard Mendenhall caused a stir on Twitter when he expressed sympathy for the al Qaeda leader and cast doubt on certain facts surrounding the Sept. 11, 2001 terror attacks. The comments not only angered many fans and players but also effectively killed his endorsement deal with Champion, as the athletic wear company severed ties with the player within hours of the tweets. Now, according to CNBC's Darren Rovell, Mendenhall is suing Hanesbrand, the parent company of Champion, essentially saying he is being punished for invoking his First Amendment rights. "This case involves the core question of whether an athlete employed as a celebrity endorser loses the right to express opinions simply because the company whose products he endorses might disagree with some (but not all) of those opinions," the suit reads. Rovell reports that Mendenhall had a clause in his Champion contract that allows them to fire him if Mendenhall "commits or is arrested for any crime or becomes involved in any situation or occurrence tending to bring Mendenhall into public disrepute, contempt, scandal or ridicule, or tending to shock, insult or offend the majority of the consuming public." It will be interesting to see how this lawsuit plays out. Champion will certainly point to the language in the morals clause and argue that Mendenhall's controversial tweets absolutely served to "shock, insult or offend the majority of the consuming public." In May, Mendenhall was apparently irked by people rejoicing in the death of the al Qaeda leader and took to Twitter to show some sympathy for the man accused of orchestrating the murder of thousands. "What kind of person celebrates death?" Mendenhall says. "It's amazing how people can HATE a man they have never even heard speak. We've only heard one side." Referencing bin Laden's role in the Sept. 11, 2011 terror attacks, he said: "I'm not convinced he was even behind the attacks we have really seen no evidence to prove it other than the gov telling us." Mendenhall also cast doubt on whether the jetliners that hit the World Trade Center on 9/11 could actually take down the twin towers. "We'll never know what really happened," he said. Rovell reports that the lawsuit is seeking $1 million in damages but Mendenhall's lawyer, Stephen Thompson, says it's not about the money but principal. "In this age of widespread social media, Rashard believes (whether an athlete can be fired for his or her opinions) is an important question for all athletes who serve as celebrity spokespersons, and he intends to pursue this lawsuit to vindicate his rights and those of other athletes caught in this situation," Thompson said. As mentioned, Mendenhall took a lot of heat from fans and his team (not to mention CBSNews.com readers). Rovell notes that a USAToday.com poll showed that a majority of those surveyed (64 percent) supported Champion's firing the player. But the court of public opinion may not matter in the North Carolina District Court where the lawsuit was filed.